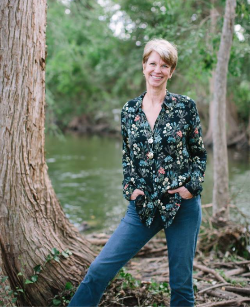 Boerne, TX - Carolyn Chipman Evans, Founder and Chief Executive Officer of the Cibolo Nature Center & Farm (CNC&F) in Boerne, is a recipient of the 2019 Texas Women in Conservation Terry Hershey Award presented by Audubon Texas. Evans will receive the award at a luncheon hosted by Travis Audubon Society and Audubon Texas on March 5, 2019 at the Austin Country Club in Austin, TX. “It’s an honor to be among this year’s honorees, all women who have dedicated their lives to conservation and raising awareness around environmental issues that become more timely every day,” said Carolyn Evans. Audubon's Texas Women in Conservation Program debuted in 2015 to honor the role that women play in the conservation field in the Lone Star State and to inspire the next generation of female conservationists. The program includes the annual Audubon Texas Women in Conservation Luncheon featuring The Terry Hershey Awards and Audubon’s Conservation Leaders Program for Young Women. “One would be hard-pressed to find another group of women who have gotten better conservation results in Texas,” said Suzanne Langley, executive director of Audubon Texas. Additional 2019 Hershey Award recipients include the Honorable Valarie Bristol (Conservationist), Susan Kaderka (National Wildlife Federation), and Dianne Wassenich (San Marcos River Foundation). The award’s namesake, Terry Hershey, passed away in 2017 and was a well-known conservationist and philanthropist who invested substantial passion, time, energy, and resources in significant conservation projects in Houston and throughout Texas. Like Ms. Hershey, Carolyn has made nature the focal point of her life’s work for over 30 years. She has a deep love for the Cibolo Creek that her great, great, great grandparents settled on in the 1850’s. Her work began with a handful of friends cleaning up the creek, marshland and prairie. They became the “Friends of the Cibolo Wilderness” and worked to build community, inspire care and create positive action for the environment. In the three decades since its inception, the CNC&F has grown to encompass 160-acres with nature center and historic farm campuses boasting miles of hiking trails, a nature preschool, farmers market and educational programming for both children and adults designed to inspire a connection with nature and conservation. The nature center has become a model for how to create a community-based nature center that fosters positive environmental action. The CNC&F serves an estimated 100,000 visitors each year and 20,000 children through education program including field trips, camps and a high-quality nature preschool. The Cibolo Creek, the nature center’s namesake, arises from springs on the outskirts of Boerne and runs 100 miles southeast to its confluence with the San Antonio River. Cibolo Creek provides critical recharge for both the Trinity and Edwards aquifers. Beyond providing access to this beautiful creek, the CNC&F also created the Cibolo Conservation Corridor Initiative in 1998 to protect and preserve the Upper Cibolo Creek Watershed. Working in partnership with the Cibolo Preserve, state and municipal agencies and other conservation organizations to protect this watershed, they now have 850 contiguous acres and over 4 miles of the recharge area protected. January 22, 2018- BOERNE, Texas – Margaret Lamar has joined the Cibolo Nature Center & Farm (CNC&F) as the Chief Strategy Officer (CSO). In this position, she will lead and collaborate on key initiatives focusing on programming, fundraising, and conservation. Margaret will be responsible for creating and maintaining an organization-wide strategy, including execution and assessment, to build collaborative initiatives through partnerships and community engagement. A national leader in developing strategies and initiatives to promote access to green spaces and nature, Margaret was previously the Vice President of Strategic Initiatives for the Children & Nature Network, a non-profit dedicated to promoting health equity through children’s access to nature. Across the U.S., she worked to support collaboration between city governments, schools, and community leaders to encourage community-driven change. Margaret led teams supporting five national initiatives, including Cities Connecting Children to Nature, Green Schoolyards for Healthy Communities, Nature-Smart Libraries, the Health and Nature Network, and Natural Leaders. These initiatives serve as innovative models for engaging children and families in nature to reverse the growing trend towards the indoor child. “Margaret is joining our team at an exciting time of growth and planning for future generations. Her expertise and national network will help the CNC&F continue to be a leader in the nature center movement. We are very excited to have her on board,” said Carolyn Chipman Evans, founder and CEO. 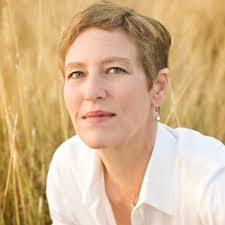 Prior to her work with Children & Nature Network, Margaret served as the Director of Education and Community Engagement for Houston Wilderness and designed curriculum for several national programs, including her role as Vice-President of Curriculum Development for Istation, Inc. where she developed interactive online curricula that integrated science-based learning with reading intervention. She is a native Texan and can often be found exploring dry creek beds with her two boys in the San Antonio region or on her family farm in Brenham, Texas. 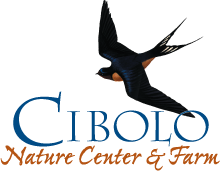 The Cibolo Nature Center & Farm in Boerne is located on 160 acres of natural lands at Boerne City Park off Highway 46 just west of the Kendall County Fairgrounds. The mission of the non-profit CNC & Farm is conservation of natural resources through education and stewardship. For more information, visit www.cibolo.org.